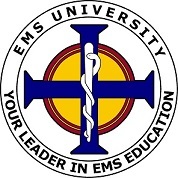 If you are interested in additional Continuing Education (CE) hours, we currently offer a special Companion Course for EMT Refresher students worth 24.0 CEU (below) approved by CAPCE and good towards the Additional Continuing Education required for NREMT recertification. If you are interested, you may register below by making the appropriate payment. Also, If you have not already paid, you can make your payment below right now or later using cash, check or a credit card for your already scheduled course below. Tempe Class Payment --- NOTE THIS PAYMENT IS FOR TEMPE CLASSES ONLY! Tucson Class Payment --- NOTE THIS PAYMENT IS FOR TUCSON CLASSES ONLY!